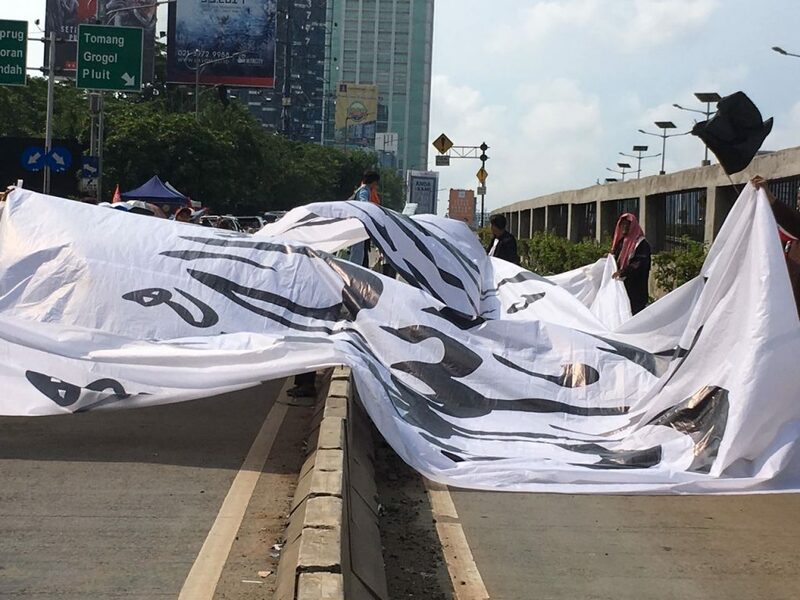 It was once again a hot, muggy day in Jakarta. The air was full of pollutants, epic traffic jams blocking entire center of the city. Biasa, as locals would say, or in a lax translation, ‘business as usual’. On September 30th, 1965, the Indonesian military obeying orders from foreign powers (mainly the US and the UK), overthrew the progressive and anti-imperialist government of President Sukarno, murdering between 1 and 3 million men, women and children (including almost all members of the Communist Party of Indonesia – PKI). This was done with the direct help of almost all the major religious organizations (Muslim, Protestant, Catholic and Hindu). The bloodshed continued well into 1966, and the “Rivers were choked with corpses and ran red from blood,” as I was told by Pramoedya Ananta Toer, the greatest Indonesian novelist. All the hopes for a socialist, just and egalitarian motherland were wasted. Before the coup, Indonesia used to be a true internationalist nation, and was one of the proud founders of the Non-Aligned Movement (the West Javanese city of Bandung hosted its establishing conference in 1955). President Sukarno and his progressive and patriotic government used to hold in their hands almost all the natural resources, trying to build a proud, artistic and productive nation. Sukarno once even humiliated the US Ambassador, in front of a huge crowd, at a packed stadium: “To hell with your aid!” He did not need any Western aid. He was presiding overpotentially one of the richest nations on Earth. 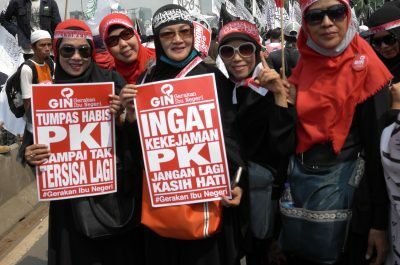 The Communist Party of Indonesia (PKI), the third largest in the world after those of the Soviet Union and China, was going to win the elections, comfortably and democratically, in 1966, while being fully supported by President Sukarno. Their manifesto was clear: anti-imperialism, social justice and land reforms. But who were some of the largest landowners in Indonesia during that period? Religious leaders! And they, together with the military and corrupt elites, decided: “No!” This has to be stopped! No justice. No internationalism. No socialism.” They betrayed the nation and its people;they committed treason and on September 30, 1965, overthrew socialist democracy. Indonesia as it used to be before September 30, 1965, died. Unable to produce anything of substantial value, it began perpetrating the unbridled plunder of its own natural resources, predominantly on behalf of foreign conglomerates. The entire beautiful and naturally rich, enormous islands, like Borneo (the largest island in Asia and the second largest in the world), Sumatra and Papua,were converted into devastated, poisoned and fully privatized ecological and social nightmares. Now, one of the mainstream Indonesian magazines Tempo put on its 25 September – 1 October 2017 cover: “SEKALI LAGI HANTU PKI” (“Once Again, Ghost of PKI”). 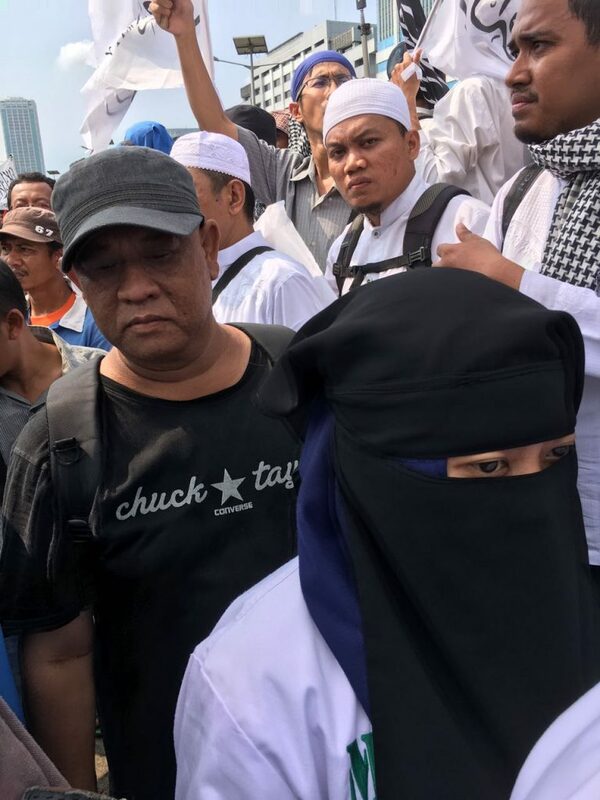 Whenever it suits the corrupt elites, the military and the religious cadres (three main pillars of the Indonesia oppressive regime), the Communist ghost is evoked. It is depicted as a monstrous, nasty, and murderous creature. Indonesian children were taught that the Communist hammer was thereto smashthe heads of the people, while the sickle was – to cut their throats. MP’s and some government officials, who dare to talk about the necessity to redistribute the wealth of the country, favoring the poor, get attacked or at least openly smeared, including such individuals like the present President, Joko Widodo. 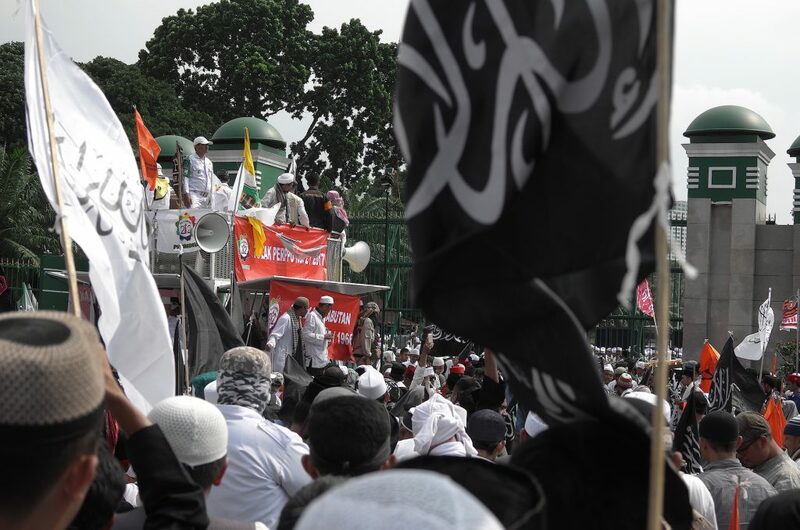 Popular, extremely effective and left-leaning, the Governor of Jakarta, ‘Ahok’, was recently locked up in a prison for ‘insulting Islam’ –on thoroughly bogus charges. His biggest ‘sin’ appeared to be his determination to build a mass public transportation system (instead of forcing people to use private vehicles, as all previous pro-business administrations have been doing, submissively), creating green public areas, building drainage and cleaning clogged and polluted canals. Some seminars were held recently. Not by the PKI, but by scholars and activists who were trying to address the history of Indonesia, particularly the coup of 1965. But the military interfered. Orders were given to break such encounters.A one-sided interpretation of history is the main and sacred pillar of the propaganda unleashedby the regime. Poor Ms. Ribka Tjiptaning is the daughter of a former PKI member (and a Javanese aristocrat) who was hanged upside-down and tortured in front of her and her little brother (when they were children), before being sent to a prison. Consequently, each of her steps is being scrutinized as if under a microscope. She is clearly left wing, perhaps the most progressive Indonesian politician. And she wrote a book called “I’m Proud To Be a Daughter of a PKI Member”. But this lone socialist voice could hardly be mistaken for a great renaissance of the Communist thought in Indonesia. By “G30S/PKI” she means an official state propaganda film, full of gore, with which all children of Indonesia were terrorized and shockedwith on the anniversary of the coup. The film was directed by an arch ‘cultural’ collaborator with the ‘New Order” regime of General Suharto – Mr. Arifin C. Noer. Several months ago I met a former Indonesian Mujahedeen fighter in Afghanistan, who barefacedly told me that the present-day Russia is actually Communist, and so is Assad’s government in Syria. According to him, even the governments of Karzai and Ghani in NATO occupied Afghanistan continue to be essentially Communist.